Although destroyed by the Chi-Chi earthquake on 1999, many traditional timber structures still exist in Taiwan. Timber structures have been proved to last hundreds of years under well maintained even in hot and humid environment as Taiwan. 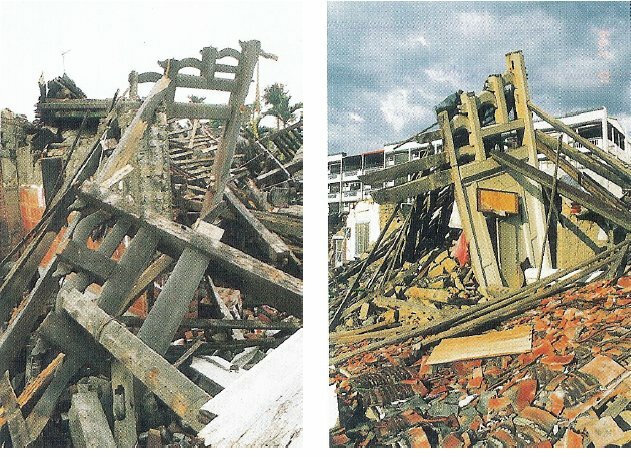 To enhance the capacity for surviving the following disasters, specific studies on structural characteristic of these timber structures are necessary. The objective of this study is to explore the structural characteristics of joints of traditional timber structures in Taiwan. The questions were opened by analyses of seismic failures recorded in an extensively survey after Chi-Chi earthquake. The mechanical characteristics of various joints of traditional timber structures were studied and will be reported in the seminar. The results of this study can benefit to improve the knowledge on behavior of traditional timber structures in Taiwan.